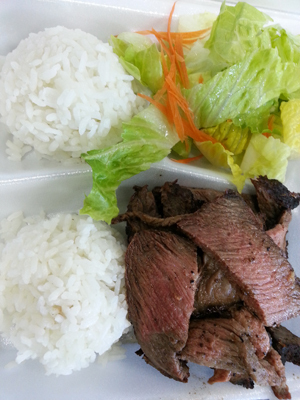 Do the words, "Kiawe Grilled Steak," make your mouth water? How about, "Furikake Garlic Chicken?" 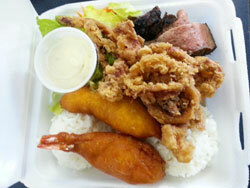 If so, then check out Queen St. Cafe & Grill located in Aiea. 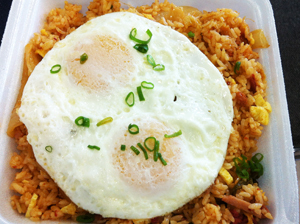 This little hole-in-the-wall will blow your mind with their fresh-grilled flavor and friendly, home-style attitude. 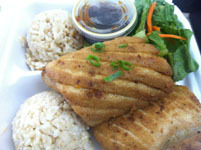 Today's deal is $10 for $20 to use at Queen St. Cafe & Grill. BUY NOW AND REDEEM TODAY! Valid from 01/16/19 - 06/30/19. 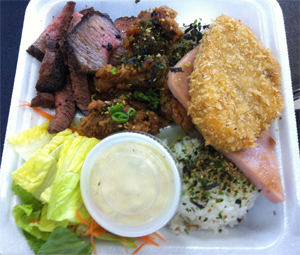 Besides the Kiawe Grilled Steak and Furikake Garlic Chicken, you'll want to try these delicious items too: Smoked Pork with Onions, Ahi Katsu, Ahi Belly, Pork Chops with Mushrooms and Onions, Garlic Teriyaki Mahi, and more! All plate lunches come with a choice of white or brown rice, or garlic mashed potatoes and macaroni, tossed green, or pasta salad. 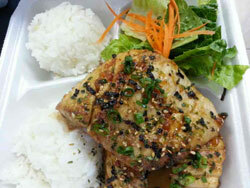 Once you get within smelling distance of their Kiawe-burning grill, you'll be convinced. 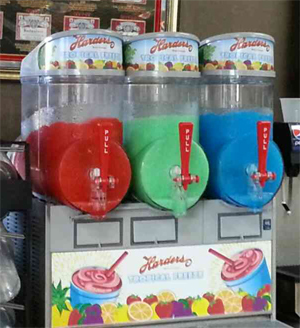 Queen Street Cafe & Grill is now serving slushies! Don't forget to grab one on your way out to help beat the heat! 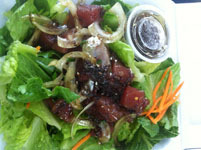 CLICK HERE to check out their Dining Out article. Get your voucher for Queen St. Cafe & Grill today! 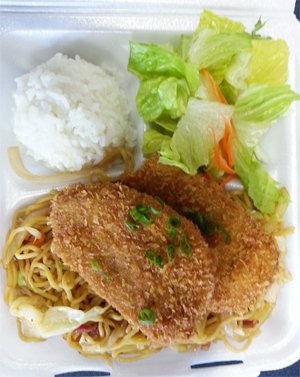 CLICK HERE to view Plate Lunch Menu. Prices subject to change. 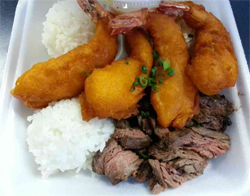 "My husband and I have loved the food (especially the kiawe grilled steak and firecracker chicken) since we discovered Queen Street Café and Grill earlier this year. Today, they won me over even more with their FANTASTIC customer service! After finishing some Black Friday shopping, I stopped by to order a take-out lunch for my family. When I got home, we realized there was a mistake with the order. I called and wasn't sure what to expect because I sure didn't feel like getting back in the car to drive back to the restaurant for a new order. I was amazed when Gwen immediately apologized and said they would deliver the correct meal to us! Sure enough, a short time later, they had prepared and delivered the new meal. I didn't know that genuine and positive kind of customer service still existed. I rarely write online reviews but wanted to share our great experience with Queen Street Café and Grill. They're now our favorite take-out restaurant! Thank you, Gwen!" "The best steak we've ever tasted, I always recommend friends and family here. The steak is always soft/tender and juicy. The staff is friendly and helpful, I've never received bad customer service since my first time coming here. My boyfriend is also a fan of their shrimp dynamite, while I love their sugar glazed mochi on a stick dessert. 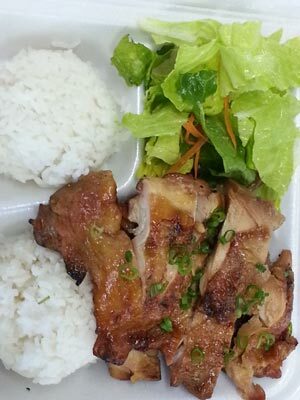 This has been my favorite place to get plate lunch, and I still have not been able to find another place to top it!" 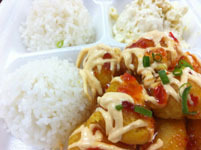 "Love this place...affordable prices and ONO food! 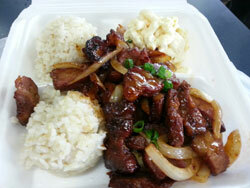 My all time favorite is the FIRECRACKER CHICKEN, DYNAMITE SHRIMP & KIAWE GRILL STEAK. Most plates are under $9 -- You can get white rice, brown rice, pasta, mac salad and/or toss salad...help yourself to an array of sauces, dressing, forks, napkins & chopsticks *great customer service served everyday! 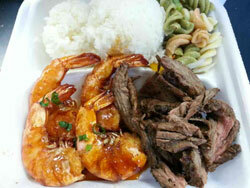 5-stars for sure"
$10 for $20 to use at Queen Street Cafe & Grill. Limited to one voucher per party/day. No cash or credit back for unused portion, no cash value.